California Consulting's Southern California Director, Haig Kartounian, attended the SGV Merry Mingle Reception in Irwindale, CA - California Consulting, INC.
California Consulting’s Southern California Director, Haig Kartounian, attended the San Gabriel Valley Merry Mingle Reception in Irwindale, CA. 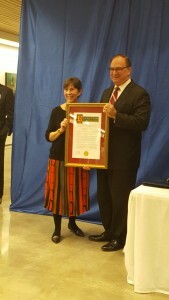 The reception was hosted by the San Gabriel Valley Regional Chamber of Commerce. We thank the outgoing Pres. & CEO of SGV Economic Partnership, Cynthia Kurtz, for her service, and wish her success as she assumes her new role at the LA River Revitalization Corp.